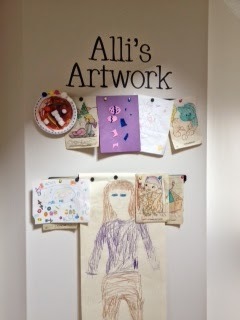 Congratulations to Brandie, our April Photo Contest Winner! She sent in these two pictures of her home...aren't they lovely? 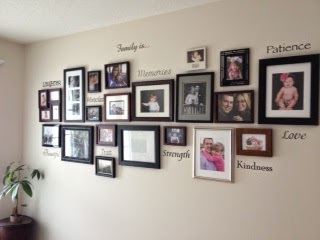 I love how she scattered the words among her family photos in her gallery wall photo! What a great idea! Thank you for sharing your photos, Brandie! Remember to send in YOUR customer photos for a chance to win a $50 shop credit-we give one away each month!